Located in the Phoenix West Valley, Dr. Catherine Fisher built FMAC based on her commitment to combining Cosmetic Dermatology with Integrative Adult Primary Care. In the comfort of her private office setting, Dr. Fisher partners with each patient to discover their unique health concerns, identify their goals, and develop individual treatment plans aimed at achieving their maximum potential for good health. FMAC was founded on the belief that “you need to look your best to feel your best.” For over 20 years, Dr. Fisher has been on the leading edge of Laser and Aesthetic Medicine and offers only the safest and most effective Laser Technologies and advanced Cosmetic Treatments, with the goal of achieving healthy, younger looking skin and maximizing each patient’s inner confidence and natural outer glow. Whether designing skin rejuvenation programs, planning preventive health care directives or treating health issues, Dr. Fisher remains dedicated to providing personalized care of the highest quality and vision. As the fields of laser and pulsed light treatments developed, Dr. Fisher recognized their value in “preventive health care” for skin and her Cosmetic Dermatology practice quickly transitioned into the Fisher Medical & Aesthetics Center. Dr. Fisher and her highly qualified staff share a commitment to complete, personalized care and take extraordinary pride in making every cosmetic patient feel comfortable, informed and at ease at every visit. From the first free skin consultation with Dr. Fisher, through every treatment or procedure, Dr. Fisher personally evaluates and treats each patient’s skin, designing a customized treatment plan and a focused maintenance program for long-term results. Dr. Fisher also offers a complimentary skin care facial, recommends the best skin care products for home use and guarantees continuing support in the long-term goal of healthy, younger-looking skin. Dr. Catherine Fisher is a graduate of the University of Toronto Medical School in Toronto, Canada. 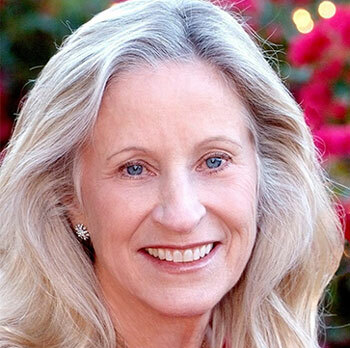 She has been licensed to practice medicine in Arizona since 1977 and has been Board Certified by the American Board of Family Practice throughout her career. Dr. Fisher is a member in good standing of the American Society of Laser Medicine and Surgery, a Cosmetic Medicine Affiliate member of American Academy of Cosmetic Surgeons, an active member of the American Academy of Anti-Aging Medicine and an Affiliate of the Amen Clinic and Brain Fit Life. Dr. Fisher is committed to staying on the leading edge of Laser technology, Aesthetics, Anti-Aging Medicine, Hormone Replacement for men and women, Nutrition, Weight Management, Brain Health Preventive Health Care and Longevity. "Dr. Fisher is an excellent physician who truly cares about her patients and their needs." "Dr. Fisher is very good at what she does. Her & her staff are very friendly to me."